July is finally upon us, the harbinger of sun-soaked afternoons, the freedom of sandals and sticky residue of a melting 99 Flake. In an ideal world, that is. In reality, we’re more likely to have a sporadic pleasant day that never falls upon the weekend, leaving us despondent at our desks. The British summer is a fickle thing, but there’s one surefire way to conjure up a picture-perfect afternoon in the warmer months: the sea. It might be perennially freezing, but nothing feels like summer quite like an amble on the coast, rounded off with fish n’ chips and that aforementioned fiddly 99 cone. 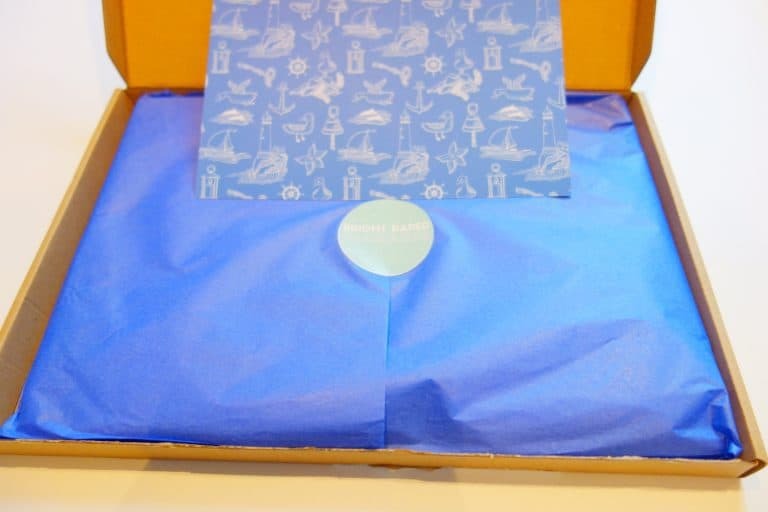 The Bright Paper Packages team invite subscribers to visit the coastal front with July’s Deep Blue Sea theme- each item is inspired by our yearning to run away, escape the city and breathe in the salty sea air. Working alongside British designers and chocolatiers, the subscription box guarantees that subscribers will receive items that are novel, local and handsome. Never hitting a wrong note, Bright Paper Packages boxes deliver a trove of surprises that are always varied and equally covetable. Oh, and there’s usually a sweet treat thrown in for good measure, which is a welcome touch of indulgence. 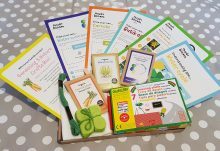 This month, the Bright Paper Packages cardboard package is a more light, slender shape than recent boxes- another element of surprise, as the form varies (and the weight) depending on the collection of items inside. Secured by washi tape, getting into the box is akin to opening a birthday present- there’s a building sense of anticipation as it’s prised open. Inside, the patterned subscriber card rests on top of the items, all swathed in tissue paper, placed in striped bags and even protected by a layer of foam when delicacy dictates. 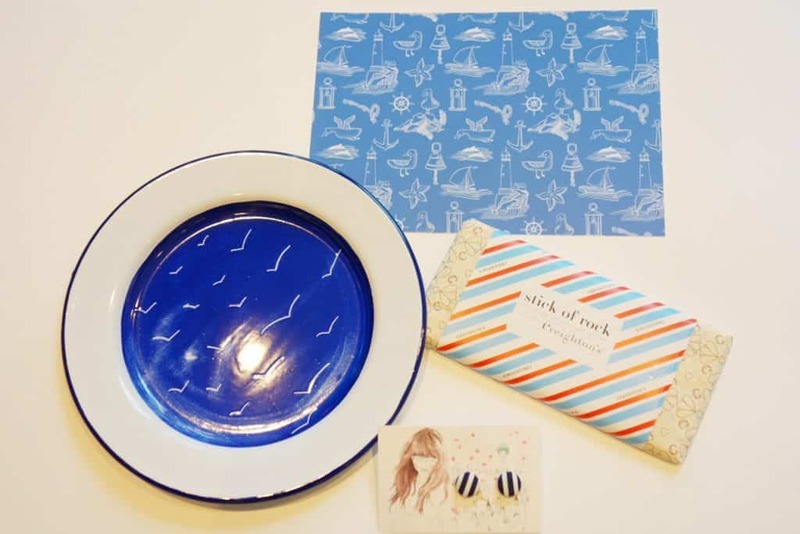 The nautical motif of the subscriber card beckoned me to dive straight in. Driven by my curiosity, I immediately honed in on the largest of the contents, which was circular and amply padded. 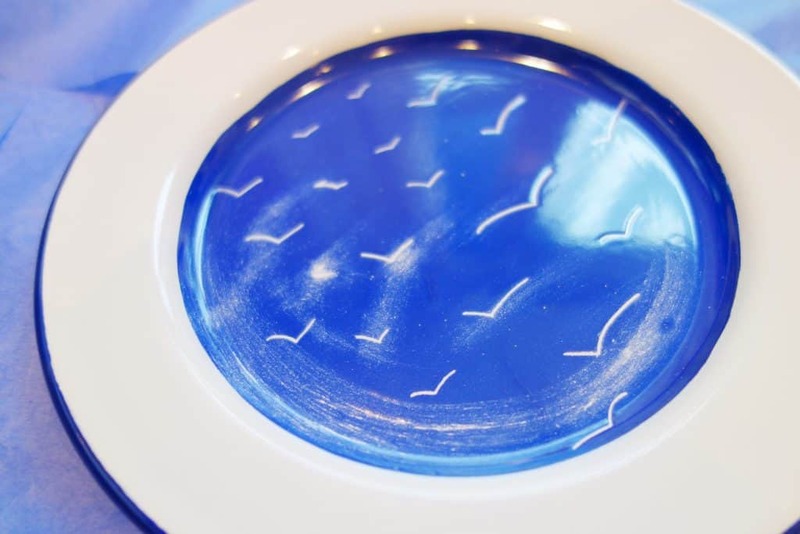 Inside was a small enamel plate boasting a beautiful, simple design of a flock of birds in flight against a vibrant blue sky. Radiating the charm of a simple, eye-catching use of whites and blues and recalling my own nostalgia of camping in my youth, I loved the piece instantly. It’s exclusively designed for Bright Paper Packages by Kat Samuels, who hand paints each plate and uses enamel as a material that evokes memories connected to specific environments. Having grown up on the East Coast of Canada, our summers consisted of weekend trips away with unbreakable and easily portable enamel plates balanced on our knees around a campfire, the ocean always nearby. Both the material and the design had that deep connection to my childhood and the piece is so wonderfully crafted that it’s amongst my favourite discoveries courtesy of Bright Paper Packages. Nostalgia coming in waves, I continued on my seafaring journey, now opening the smallest of the items, concealed in a paper bag. 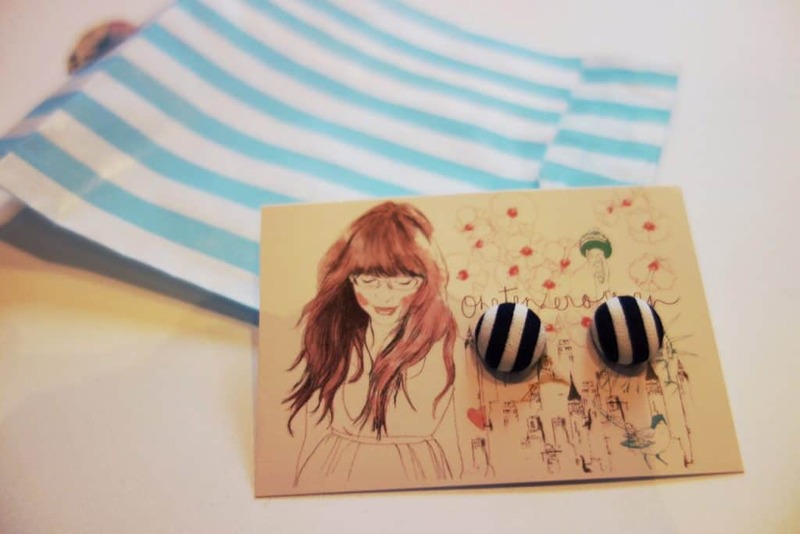 A classic Breton stripe shirt is a wardrobe staple- I have several variations in mine- and these cute Breton-inspired earrings are the perfect accessory. I’m a natural aficionado for stripes, so these fit into my simple sartorial style. I immediately put them on and have been sporting them since. These are another handmade item, this time coming from Sophie at onetenzeroseven in Yorkshire, and are perfectly sized to infuse a little pizzazz into any ensemble. Plus they are made of fabric, meaning that they won’t rust or irritate sensitive lobes. I’ve been jazzing up my otherwise bland work outfits with a flash of seaside fashion thanks to these. And just to confirm that the Bright Paper Packages crew know me (and evidently all of their subscribers) to a T, the final item was revealed to be chocolate- or at first sight, which was exciting enough. Closer inspection revealed that it was a bar of white chocolate infused with a stick of rock- something I’ve never seen before (or knew that I was missing until now). What a fantastic British notion, as rock is such an entrenched British classic always associated with the sea. 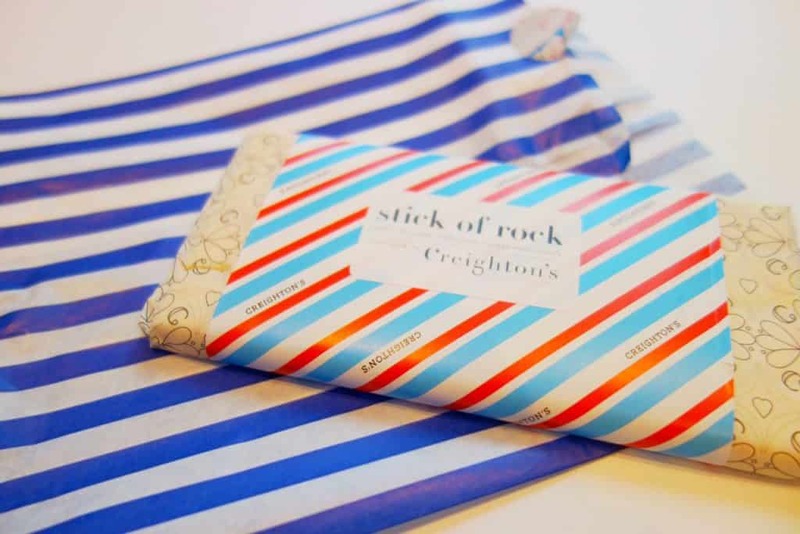 And this comes from Creightons, a brand that I’ve previously spotted in boutique gift shops, who are a mother and daughter team who use only the finest Belgian chocolate and rely upon traditional chocolatier methods. Creamy, sweet white chocolate envelops the pieces of rock, resulting in the type of luxurious treat that immediately propels you back to your youth. 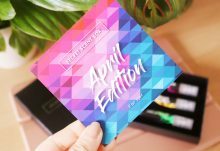 There are now two services offered for subscribers- one is the standard Bright Paper Packages monthly box, which is perfect for spoiling yourself, and then the Bright New Year option, which is perfect as a gift, delivering twelve monthly surprise items directly to a recipient of your choice. 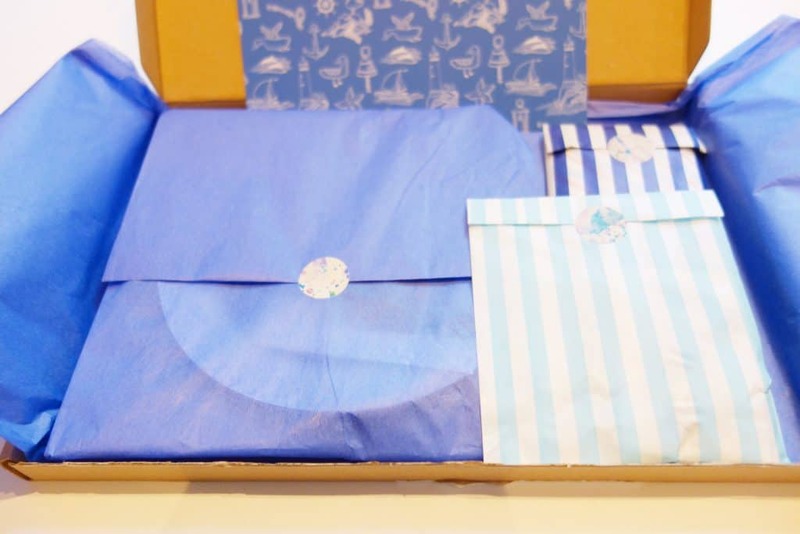 The regular Bright Paper Packages subscription is available at £20 with shipping included for a one-off purchase (and other subscription options are also available at £57 for three months, £111 for six and £216 for one year, all including UK shipping). The Bright New Year is available for a one-off payment of £100 (with shipping included in the UK). Another all-rounder, July’s Bright Paper Packages captures the best of the seaside with no bathing suit required. The charming designs and the delight of something sweet is worth every cent, and the thought and care that goes into the curation of every box is reflected in the quality, uniqueness and handcrafted nature of each item. I might not make it to Brighton or Blackpool this summer, but it hardly seems to matter now- the pleasure of an ice cream by the ocean is fleeting, but this box has given me something to covet for much longer. 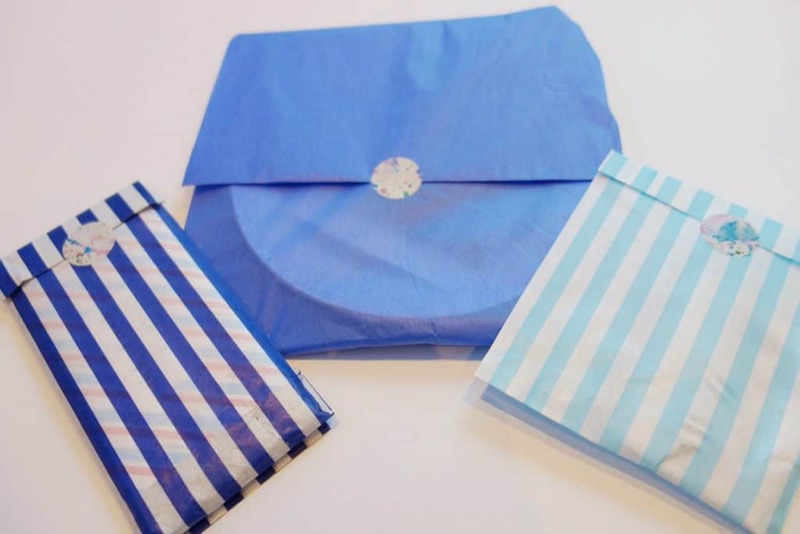 Bright Paper Packages will easily appeal to anyone with a sense of discovery and who delights in local handcrafted items. The items in July's box are endearing, gorgeous and tasty.